My retirement story began in 2007, after 43 years. I spent the last 26 years as Finance, and later Marketing Director, of one of Ireland's leading grocery brands. That was the longest and most rewarding phase of my career, and I loved that role right up to the day I left. When I said this to friends and colleagues, some of them asked me ... "why then did you leave your interesting profession at a comparatively early age?" But my career was never just about money, and neither was my retirement. In my mid forties I had the foresight to negotiate an option to retire at 60, 65 being the normal age in the company. When I was about 55, my boss asked me, almost casually "Are you going at sixty Greg?" "Definitely", I replied without hesitation, and we both laughed. From that day on I was clear about when to retire, and never wavered from that decision. I sought retirement coaching at age 58, and began some detailed preparation for retirement. After 26 years I was very good at my job, and though I loved it, I was no longer challenged, was not learning, and was deriving less satisfaction from it. I was not going to "retire" on the job, and I felt I should get out and leave it to younger and more energetic colleagues, who were ready for it. At 60 I was blessed with good health, energy, a youthful outlook, and a love of learning ... would I still feel that way at 65? This thought also influenced my decision to retire early. There was no guarantee that I would have the same options and possibilities if I waited until 65. My work brought structure to my life. It was a place where I felt strong, secure, respected, and trusted. It enabled me to grow personally and professionally. I valued the esteem, respect, and friendship of colleagues (my second family), and the business community. I enjoyed my leadership role and the influence I had on people, money, and decision making. I knew I would miss the perks that went with the job; the overseas travel, the golf invitations and other business and social functions. I would miss the "tea break" where we exchanged stories about the game at the week end, or that reality show on TV the previous night. I loved telling stories, and I hope my colleagues enjoyed listening to them! My Retirement Story has been a positive experience but my new life is not a substitute, nor should it be, for what I miss about work. My wife and I got plenty of advice on retirement financial planning, from investment managers and pension providers, offering to sell us products, but no one mentioned how our relationships and personal well-being might change. One of my reasons for retiring was to have more leisure time with my wife. I had been looking forward to this for years. I saw it as a chance to renew our relationship without the pressures of work and children. I wasn't aware that this noble sentiment required considerable effort and readjustment on both our parts. (Read my stories about retirement for couples. My ideal vision of my retirement story involved staying in the workforce and being active in the community. The best piece of advice I got from my retirement coach was not to make any major commitments affecting the first year of retirement, such as selling the family home, or moving abroad, taking on a retirement job, or volunteering. But I didn't heed his advice! I was flattered to be asked to join the board of a start-up company, which had a unique customer loyalty software product/process, for use by retailers in the grocery trade. It took me months to realize that I was wanted for my expertise and contacts in the grocery trade, but that was a life I had left behind. Also, start-up companies involve 24/7 dedication, wholly unsuitable to my requirement from a retirement job. Fortunately I was able to bow out in time, with no hard feelings. There is a stereotypical image of retirees, which may or may not be true, that they have endless free time, and thus are ideal candidates for volunteerism. Add to this the fact that they have an innate desire to serve and to give something back. A very good friend of mine invited me to take on the role of secretary to a major national service organization. I accepted the office, based on our friendship, without understanding what the position involved. I soon discover that I hated the job! It just wasn't for me. I greatly admired the work of the organization, but I had no interest in secretarial committee work. I managed to extricate myself, without too much inconvenience to the organization, or discord with my good friend. My chosen field for post-career work was Business and Personal Coaching. I had a lifelong interest in learning and personal development, and now I was enthusiastic to share this with others.In the five years prior to my retirement I joined several courses on coaching and related fields in Ireland and the USA. I also worked as a Coach on a part time basis, which gave me the opportunity to pre-test my new post-career work. My offering was too broad initially, and when I narrowed it to the Retirement Coaching niche, it became much more rewarding for me, and valuable for my clients. I've yet to meet a retiree who hasn't told me that life is wonderful and that he/she "should have retired earlier." I appreciate this positive attitude, yet research informs me that for many people retirement is disappointing. Let me share with you the many ways in which I enjoy my current life stage. I love the unhurried pace of life and the freedom to choose what I'll do on any particular day. I'm time rich, and almost never hurried or tired. If I get tired, I'm free to rest. I like to rise early, but if I get a cold or feel unwell, an extra hour or two in bed soon has me feeling better. And I'm not having to phone the office to say I'll be late. "A truck has broken down on the link road, avoid it if you can, traffic is backing up on the Kinsale roundabout, beware black ice, floods..."It's great to be able to prioritize family, friend, and personal needs, after a lifetime of juggling these demands with work. My retirement story has been a positive experience, but my new life is not a substitute, nor should it be, for what I miss about work. I mentioned earlier that many people are disappointed in retirement, mainly because they do not do the things they had dreamt about doing. Not so with me, so far I'm living my plans. Travel has been a highlight. Since retiring I've been to Africa, Asia, USA, Australia, and several countries in continental Europe. Some of these trips were spontaneous, and of longer duration than was feasible in my work years. I'm devoting a lot more time to my hobbies. I play golf twice weekly, and I love it. I have more golfing buddies than ever. My handicap has not come down yet, much to the chagrin of my opponents! 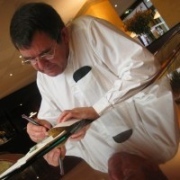 I write daily, which for me is a terrific retirement hobby. I go hill walking regularly, big hills, like Ben Nevis in Scotland last September. I've taken up Yoga, and joined a church choir. I've read more books, on a wide range of topics, in the last five years than in the previous twenty! "A good book is the best of friends." I've gone back to college to study Irish Grammar, which was anathema to me as a schoolboy! I could never have engaged in that range of activities during my work years. And I'm working my way through my Bucket List! In the years immediately preceding retirement, despite many demands upon my time, I made a very conscious effort to stay in touch with friends and to stay active in clubs and societies. My retirement plan included making more time for hobbies and leisure and I didn't want to be a stranger when I turned up on a Monday morning at the golf club! 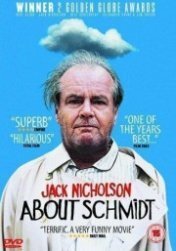 About Schmidt, staring Jack Nicholson, is a five star movie for retirees! Schmidt drops by the office a few weeks after his retirement party. Colleagues are busy but happy to see him "looking great, retirement suits you! Things are hectic around here, drop by again soon." His replacement has no questions, the handover has been seamless! I know how he felt! I drop by the office once or twice a year. I'm warmly welcomed and they seem genuinely happy to see me. But I no longer fit in, nor do I expect to. I have new stories now, and so have they. I'm delighted to be invited to the annual Christmas party, and to the occasional social club outing. And should the need arise; I believe we would support each other. None of this surprised me, and I have the happiest memories of the work, and leisure, I shared with so many wonderful people. If we had the chance to do it all again ...would my retirement story be different? I wouldn't change a thing about my last few years at work. To quote from the Life of Pi, by Yann Martel ... "it's important in life to conclude things properly. Only then can you let go ..."
I took my career very seriously, and I was well rewarded for it. And I'm thankful that it ended perfectly, as I got a great send off, with lots of parties, flattering speeches, and a good pension. I still read the Business pages of the press, after I've read the sports pages. Sometimes I look at the people in the heat of battle, making the headlines, and I think "he's as old as or older than I am," and I wonder what it would be like to be back in the trenches. Perhaps I could have given it another two years, or five? But had I, look at all I would have postponed, or missed. Phased retirement, favoured by many, was not an option in my case. "Now is the time to enjoy your heart's desire, To live the dreams you've waited for, To awaken the depths beyond your work And enter into your infinite source." "My work, while important, is not the most important thing in my life." Retirement Financial Planning is essential to support the lifestyle you aspire to, yet it is only part of the story. There are many non-financial considerations that go towards living life to its fullest in retirement. I recommend that you follow a retirement planning tool, which highlights the big issues, as well as important details, and which could easily be overlooked. Above all be kind to yourself, and be patient! Building new networks and devising a strategy for your Third Age is a matter of years, not months - it's a process, not a destination. Read my further reflection on retirement as I began my Seventh Decade. You've read my retirement story, now please share yours with the visitors to this site. The following questions may help, or just write whatever is on your mind. Tell me why you love Retirement! What would make it ideal? What's not quite right, yet?